Growing up in Longmont, Colorado, Zach started playing the tuba in 6th grade, and later picked up the trombone to play in his school jazz band. He attended Colorado State University in Fort Collins and received Bachelor degrees in Music Education and Music Performance, with a certification to teach K-12 music. Zach is now teaching band and choir at Pinnacle Charter High School in Federal Heights. 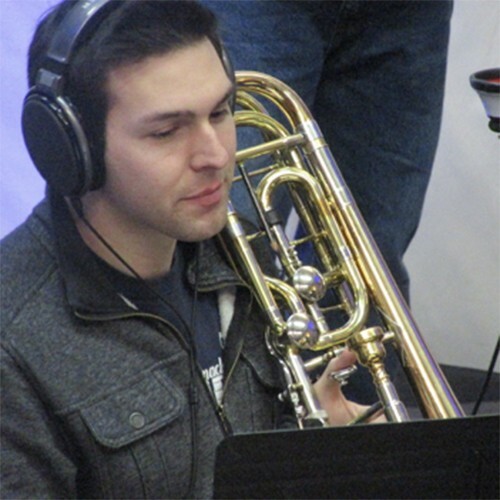 Zach teaches music to many students in the St. Vrain Valley School District and actively performs in many Colorado-based groups, including the Longmont Concert Band, Wither Without Orchestra, Longmont Theater Company, Too Many Trombones, and the Longmont Chorale. He leads the Trombone Section for FJO.